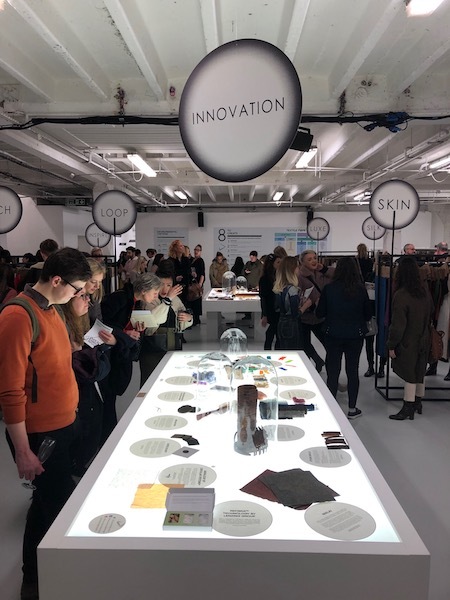 The Sustainable Angle wrapped its latest Future Fabrics Expo (FFE) on Jan. 25, leaving the industry with lots to be excited about where future fabrics are concerned. The expo, which is a showcase of commercially-available fabrics and materials that leave a lower environmental footprint. The show’s aim, The Sustainable Angle has said, is to help yield a fashion industry where creativity and designing for sustainability positively contributes to both the environment and local communities. And the Future Fabrics Expo continues to work toward that aim.